In the words of Dr. Seuss, “The writer who breeds more words than he needs, is making a chore for the reader who reads.” Fortunately, outsourced editors are well-equipped to the task of pairing down words, adding in those pesky grammatical nuances that make a world of difference, and in short polishing content marketing pieces to make them truly shine. No matter the industry, if you want your business to standout as an industry leader, then an editor might quickly become your secret weapon to publishing success. Editors and writers should not be confused when it comes to content marketing. Writers are the idea crafters. They are the individuals that breathe life into your pieces. Editors are the gallant knights (or ladies) who slay the content marketing game. Without their subtle touches, a writer’s efforts can easily become the digital treasure that remains undiscovered. But, enough of medieval-inspired metaphors, let’s take a look at five tips that will help you to work well with outsourced editors. Be Clear. — Communication is key, especially when working with editors. You and your writer need to work with the editor to explain the goals of the piece. For example, an editor might mistakenly make choices that don’t align with your marketing strategy. To avoid this delay in publication (and inevitably clashing of egos), you must be clear in a) what you want to achieve, b) the reason behind any purposeful written errors (such as capitalization within headers), and c) areas of weakness that you hope the editor can improve. Quell Your Writer’s Ego. — Whether you outsourced your content to a literary pro, or chose to write your content internally, it is vital that you let go of your ego. In the words of Steven King, it is not easy to “kill your darlings.” Writers often think that every word is essential. However, in most instances an editor knows best, especially when it is time to slice and dice those unwanted words away. With this in mind, don’t forget the first tip. If you are particularly fond of a turn of phrase, then let the editor know before they alter your “words of genius;” otherwise, you will find yourself in a clash of egos. Read The Final Piece Out Loud. — Make sure that you read the final piece out loud (and that you ask the editor to do the same). Reading the words out loud can not only help you to discover areas of strength or weakness, but can also help you to place yourself in your audience’s shoes. At the end of the day, when communications are finished, egos are removed, and words have been cut, all of your efforts are in vein if you, your writer, and your editor have not taken the time needed to place themselves in their audience’s shoes. By reading out loud, you can hear the flow of the words, discover if you remain engaged with the content, and ensure that you remain true to your authentic storytelling voice. 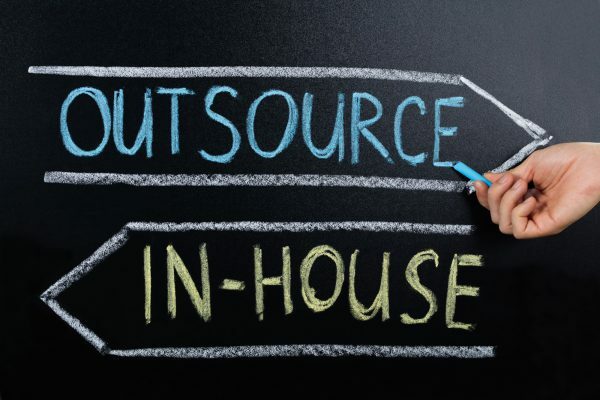 Working with outsourced editors is made easy here at WriterAccess. In fact, it’s as easy as adding editing to your content marketing orders. Our team of professional editors will work directly with you and your selected writer to create the best possible pieces. Whether you are interested in publishing a blog post or writing for a medical journal, WriterAccess editors are able to adjust their style to meet your specific goals. This process is made even easier through the WriterAccess conference call feature, as well as our messaging platforms where editors can communicate directly with you and writers to answer questions, receive instructions, and ensure that your expectations are exceeded. To learn more about how outsourced editors can help transform your content marketing pieces from good to great, contact a member of the WriterAccess team today.